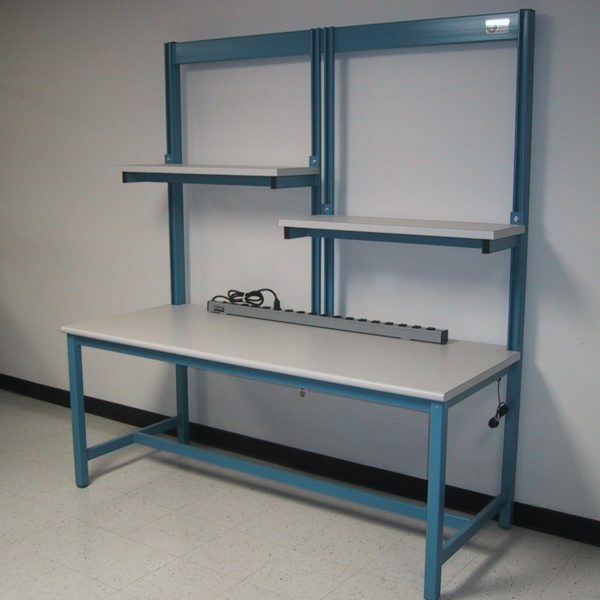 Dual Printer Workstation holds Printers on Shallow Shelves while Paper Supply and Printed Papers sit on larger shelves below. 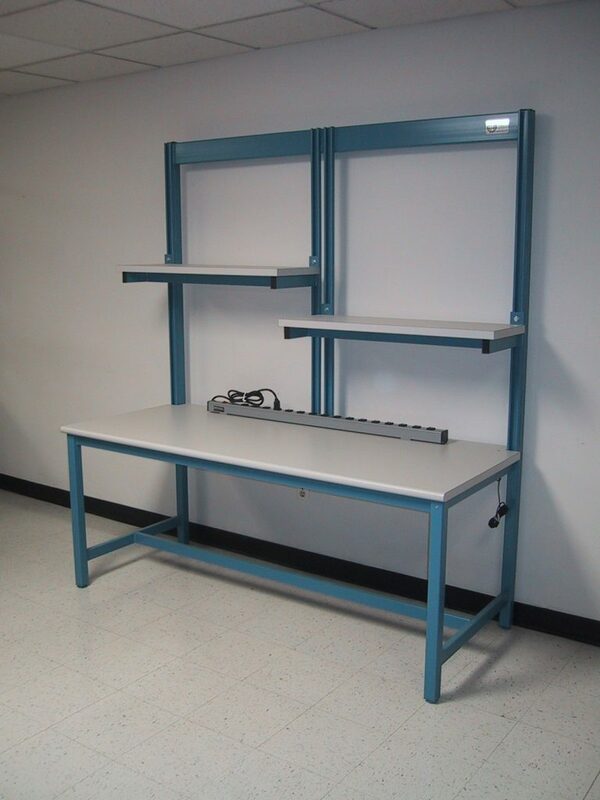 Ideal for continuous paper (fan-fold paper) supplies used with tractor-fed media printers. 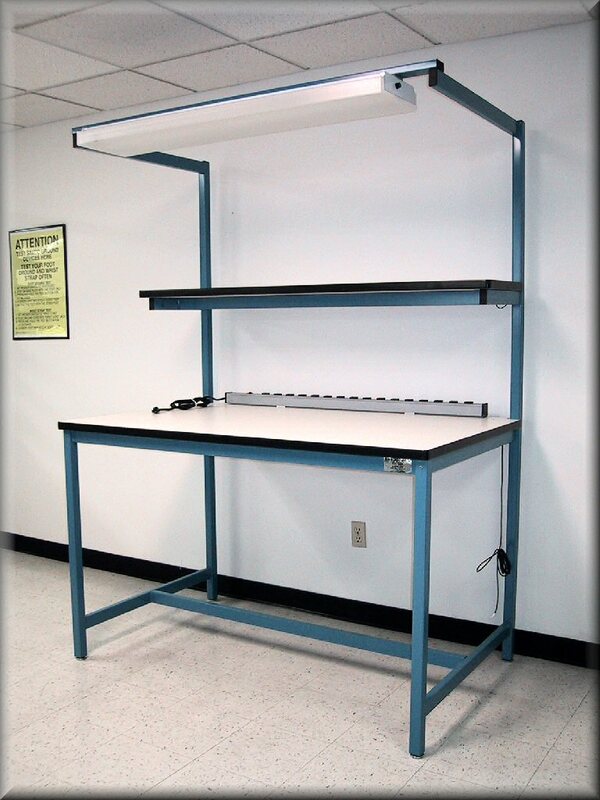 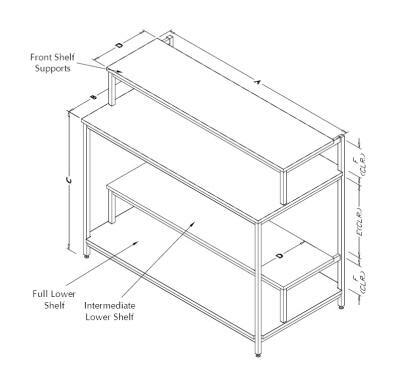 “E” – Specify the clear height required for your printer, including overhead access clearance. 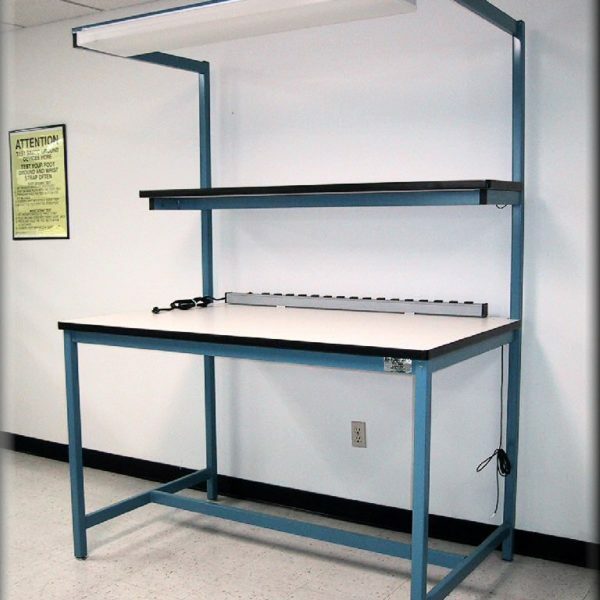 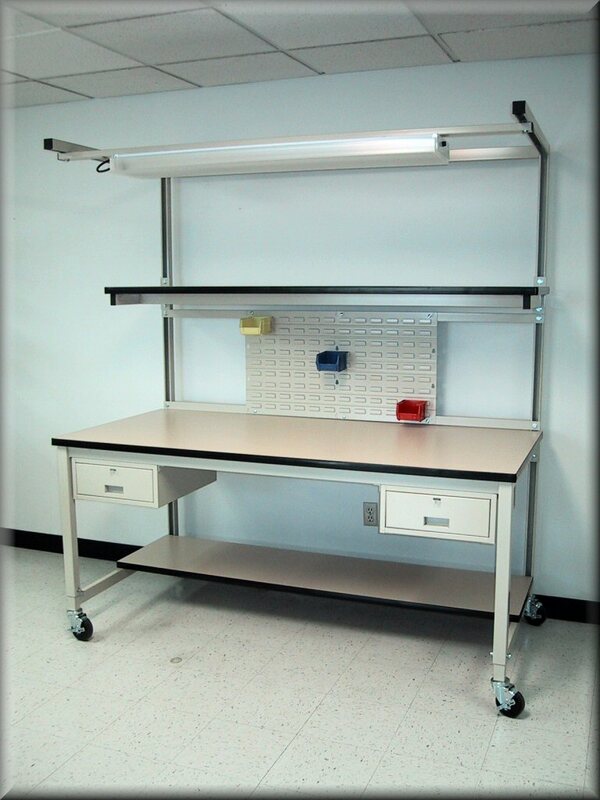 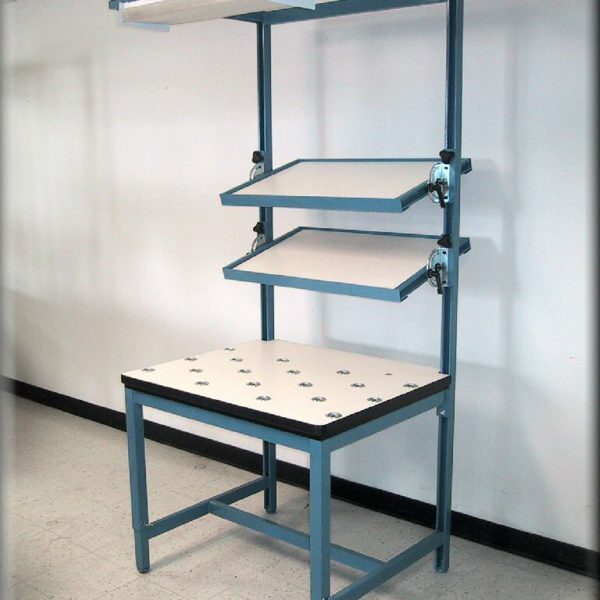 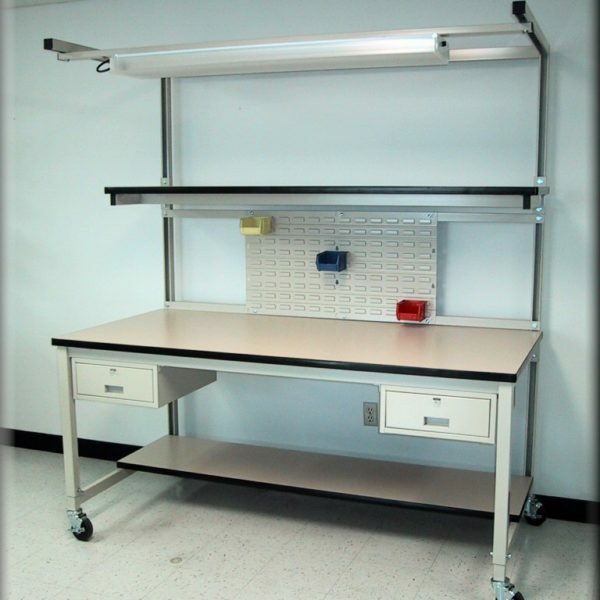 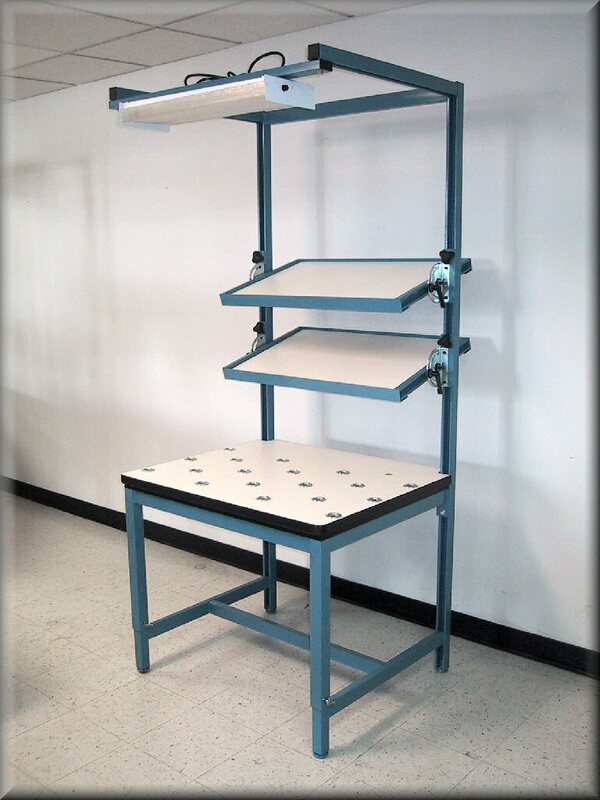 “F” – Specify the clear height required for your paper storage, including overhead access clearance.